The zombie-themed hits in Call of Duty games keep coming with the latest bit of DLC for Call of Duty: Black Ops 3. 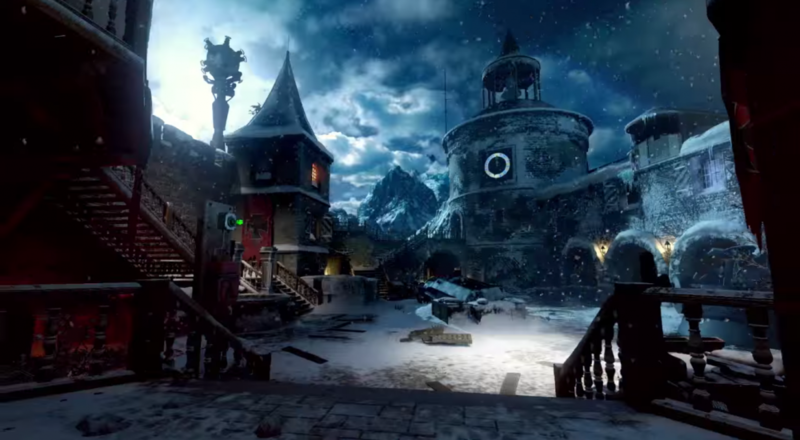 Dubbed "Der Eisendrache," this new adventure comes as part of the Awakening DLC, which also includes four new multiplayer maps: Skyjacked, Rise, Splash, and Gauntlet. "Der Eisendrache" picks up where "The Giant" - the last bit of zombie DLC for the game that is only available to you if you picked up the season pass bundle (or the collector's edition) - left off. Heroes Richtofen, Nikolai, Takeo, and Dempsey head off to a new Nazi research facility and find (surprise, surprise) more zombies to kill! There are a couple of interesting looking guns shown off in the trailer (along with an exploding monkey), and an enemy that is very reminiscent of the Big Daddy from BioShock. That's great and all, but if you're looking for a little more Stormare in your life, Activision has you covered. The Awakening DLC pack arrives first for the PlayStation 4 on February 2 and then PC and Xbox One on March 2. No word on pricing or if this DLC will be released for the Playstation 3 and Xbox 360.